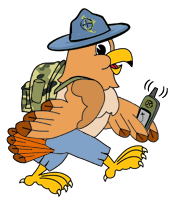 There are only 10 days left in the OpenCaching North America Diversified Cacher Contest! There were several rule clarification questions for the OC Team early on, both via email, and in our dedicated contest thread in our forums. We answered them all of course, but we realize not everyone is going to send us an email, or post in our forum thread. 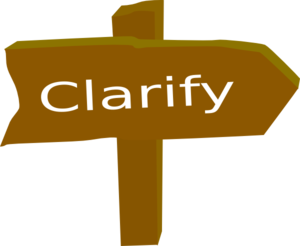 This blog post will therefore serve as the go to reference for clarification of the rules. We have several clarifications below in a Question and Answer type format. Note: this post was edited 8/30/14 to reflect a new clarification on Social Munzees (they do not count as captures). Can I use individual OCNA cache finds in more than one category? If you mouse over any of our attributes on our cache pages (not in the image above), the name, or a short explanation of the attribute pops up on your screen. You can see that the 4th or middle attribute selected is the Historic Site attribute. Therefore, he can use that cache find for action #2, “find an OCNA cache with a historic site attribute”. And nothing else. Score 10 points for Mr.Yuck on that one! How do the points work for Munzee? No points for lower levels of caps or deploys? That is correct, no points for “lower levels” If you go to the 60 contest actions spreadsheet, you see you get 5 points for capturing 10 Munzees. Capture 11-99, and you still only get 5 points. If you were to capture 100-999, you would get 25 points, and you would not get the 5 points for a “lower level”. However, you can get points on both the capture and deploy side. Example: You captured 520 Munzees, and deployed 107. You would get 100 points for (500+) for the captures, and 25 points for (100+) for the deploys, for a total of 125 points for your Munzee endeavors for the month. Do Social Munzees Count as caps? No. This question didn’t come up until the 2nd last day of the contest, but our intent was always “point bearing” Munzees. It doesn’t matter how “easy” the particular capture was (i.e. a blast capture in a virtual field), but non point bearing Social Munzees do not count towards your captures (or deploys, obviously). I lost the URL for my saved contest entry form. Can you find it for me, and give me the link? It doesn’t appear that we can! What we’re talking about here is that per this blog post dated July 31st, we outlined how you can save your entry form online for later editing. To keep track of your scoring on the fly, if you will. To date, less than 10 people have done this, but we did receive a couple reports asking if we could recover a lost URL. No, but we can easily delete the unaccessable entry from our master spreadsheet that tabulates the scores. We’ve done it twice. Be sure to bookmark the page you are taken to after clicking the “edit your response” link as outlined in that blog post. We are expecting the vast majority of players to fill out their entry from online in one sitting, or to submit neat hand written forms scanned and emailed to OCTeam at Opencaching.us. But should anyone still choose the option of saving their form online for later editing and has any issues, we can help you make it right; just shoot us an email at the OCTeam address. Yes, you can! We have 32 separate prizes. Some are one item, some are multiple items; for example, 5 packs of assorted sized Bison Tubes from Drives Cache Closet, or a 5 item prize pack from GXproxy are each considered one prize. Players earn one entry for every 100 points they score; the more you play, the better your chances of winning (or winning multiple times). Entries will be randomly assigned, and winners will be chosen randomly, all using the services of the website random.org. We will outline that process in detail in our next blog post.